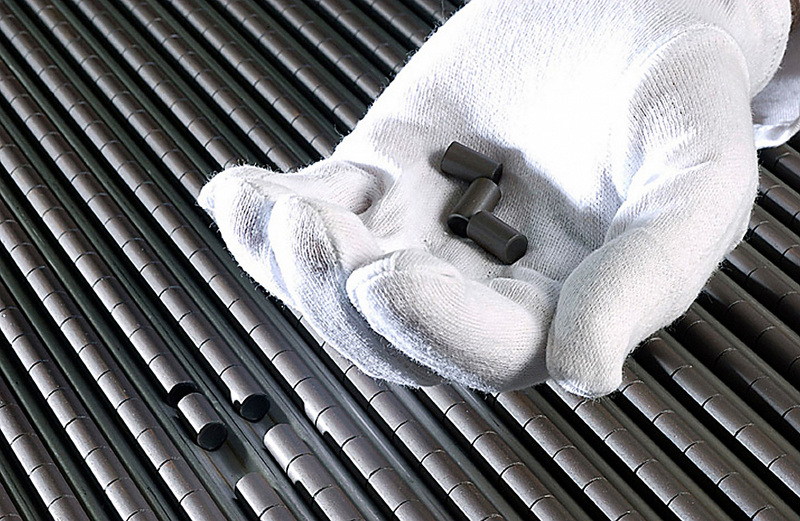 The new-generation nuclear MOX fuel. An intergovernmental agreement between Russia and the U.S. to convert weapons-grade plutonium into mixed-oxide nuclear fuel has resulted in the construction of a new production unit in Siberia. One of the enterprises in Siberia that previously produced weapons-grade plutonium has begun to produce innovative fuel for nuclear power plants with fast neutron reactors. The new production facility is the result of the implementation of a Russia-U.S. intergovernmental agreement. The production facility for new-generation nuclear MOX fuel for fast neutron reactors was launched in the fall of 2015 in the city of Zheleznogorsk in the Krasnoyarsk Territory, known for its developed nuclear industry. This industrial complex is currently the only one of its kind in the world. The new technology to produce fuel for nuclear plants can reduce the volume of radioactive waste and opens a viable way to create waste-free technology in the nuclear industry. "Colleagues from France who recently visited our plant praised what they saw," said Pyotr Gavrilov, director of the Mining and Chemical Combine (MCC), where the production facility is based. "They even admitted that they attribute our technology not even to the third, but to the fourth generation." The opening of the MOX fuel production facility has become an important and largely symbolic event. It is in Zheleznogorsk that the underground Mining and Chemical Combine (MCC) was created in an atmosphere of secrecy in the mid-1950s for producing weapons-grade plutonium. Many kilometers of tunnels had to be built and underground workshops created in order to place three industrial reactors and a complex radiochemical production facility inside the mountain. For many decades, the MCC's three underground reactors produced plutonium-239, which was used to create Soviet nuclear weapons. But after a series of U.S.-Russian (and before that – Soviet-American) agreements, it was decided to gradually stop all the reactors that produced plutonium – both in Russia and the United States. The intergovernmental agreement also obliged the United States to work with Russia to convert weapons-grade plutonium into mixed-oxide nuclear fuel. For that reason, after the last of the three reactors in Zheleznogorsk was shut down, it was decided to convert the underground workshops for the production of MOX fuel. The creation of a MOX facility and a power unit with a fast neutron reactor – BN-800 – has been the most difficult of the Russian-American agreement's roadmap obligations. Russia has overcome its share of difficulties and now expects the same success from the U.S. The plutonium disposition agreement comes into effect in 2018.